In the late 1980s and the 1990s I was working as a lecturer. The only perk of this eighty hour a week job was ten weeks holiday a year. So two or three times a year I would leave the office and take a bus to the airport. Usually travelling with hand luggage only I would hop on a plane to somewhere interesting, cheap and a long, long way from the nearest student of quantity surveying. 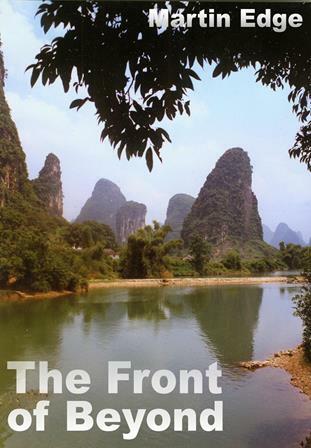 I wandered around China, trying to nip across international borders in militarised zones. I stuck my nose into parts of rural Burma where the authorities didn’t really want foreigners to go. I delved into parts of Kurdistan. I had a look at parts of the Sahara, apparently being chased by the army. I hitched and bussed across borders in East Africa. I would sit on a painfully slow, rickety bus in the baking tropical sun for weeks at a time. I spent the time sweating profusely, wondering where I would sleep that night and not thinking at all about lectures, paperwork and meetings. Oh, the interminable bloody meetings. In the middle of the decade I upped sticks and buggered off, without pay, to sit on a slow bus for a year. But for most of the nineties, I spent a month at a time, hitch-hiking to the front of beyond. I always aspired to get to the back of beyond, of course. But there’s only so much you can do in a month. I really didn’t have the constitution for facing down hitherto undiscovered tribes of angry Amazonians, wielding blowpipes. You can find ‘The Front of Beyond’ at http://www.amazon.com/author/edge, at the UK and other European Amazon websites, Kobo, on ‘I Tunes’ (Search for ‘Martin Edge’), for all formats (including pdf) at the ridiculously named ‘Smashwords’ and elsewhere.